Transform Your Badminton Skills In A Weekend By Learning How To Out Manouvre Out Play And Out Score Your Opponents – Leaving Them Wondering What Hit Them! All courses are based at the Lilleshall National Sports Centre, Shropshire, UK. They generally fill up several months in advance. If you are interested in attending, please submit your application sooner rather than later to avoid disappointment. The easiest and lasting route to improving your badminton skills is through coaching. For many, coaching sessions once a week or once a month are fine but sometimes they don’t give you the impetus to make that major breakthrough you’re looking for. So why not try an altogether different approach and immerse yourself in badminton over a weekend with like-minded players? 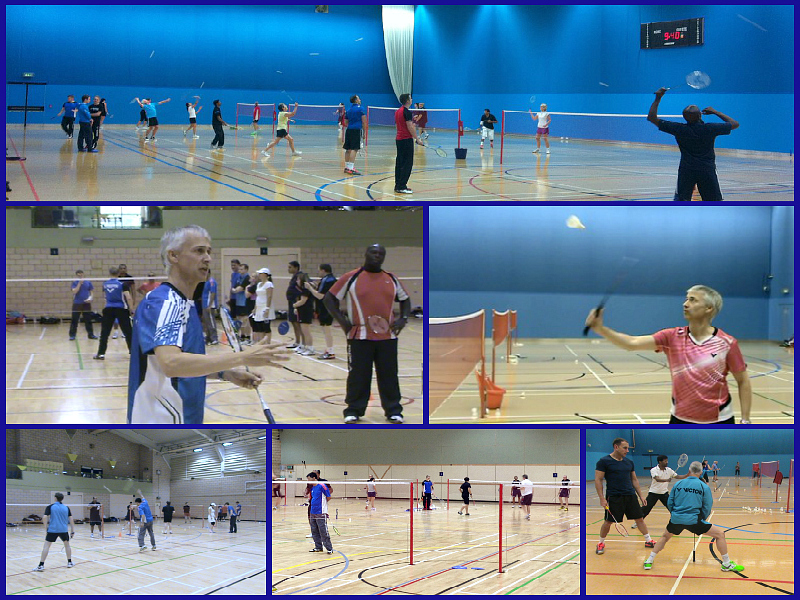 We began running badminton coaching weekends for players like you in September 2010. The courses have proved immensely popular with intermediate and advanced players alike and the feedback from the attendees has confirmed how much they enjoyed the course and thought it was professionally run. When you apply for the course I will ask specific questions so that I understand the key areas you feel are weak and need improvement. All of your, and the other attendees comments are recorded. I then use this information to design each element of the weekend. I personally telephone every player to ensure I understand exactly what you want. “I want you to leave this coaching weekend confident that you are a much better player and you’ve overcome your biggest badminton challenge. I want this to be the best coaching experience of your life.” Paul. Each course is therefore designed with you in mind – to improve your skills and techniques. There are many players who will testify that every course is different. Why? Simply because I have to ensure that yours and other player’s needs are catered for. Every attendee has a personal agenda and it’s important this is respected and met as fully as possible. We frequently have players returning for more coaching because they have absorbed what we have taught them and wish to continue their development for various reasons. Some are looking to challenge for a place in a higher team, some to retain their place in a team and others just wish to improve to beat their friends. No matter what your badminton aspirations are, we aim to make it happen for you. But…this is not a fitness training weekend. I must stress now that we do not cover fitness training in our courses. You cannot get fit in a weekend and there are better places, such as the local gym, to gain the knowledge and use of equipment for this purpose. However, you will be pushed hard so expect to be very tired by the end of the first day. Day two is a lot easier physically as it’s designed to focus on mid court and forecourt skills. It would be beneficial for you to be quite fit bearing in mind you will be on court hitting shuttles and feeding another player for 7 hours on day one. As I said, you will be physically tired. But, you can rest whenever you like and there are plenty of breaks. In other words, you can work at your own pace. We have had terrific feedback from the players. You can read what they had to say by clicking here to view the testimonials page. What Is The Difference Between The Intermediate, Intermediate Plus and Advanced Course? Who Can Attend This Badminton Coaching Course? The course is aimed at senior players (aged over 16) who are of intermediate, intermediate plus or advanced standard. If you’re unsure whether you qualify, then watch the video above, or click here to read my post which includes my definition of intermediate standard. I’m sorry but we cannot accept beginners onto the course because we cannot spend the time with them that is required. It just wouldn’t be fair to the other players to tie up a coach full time coaching and feeding these players. Ideally the course suits players who are already members of league clubs. But, there are many players who have taken the decision to play socially and I welcome your applications too, providing you meet the standard. I know of many players who have already attended my courses who are very good players and prefer to play competitively with friends rather than in clubs. That’s fine with me. Whenever I receive an application I will phone you to run through your application and clarify what you know. From our discussion, we’ll both know whether you are ready for the course. Where possible, I will arrange to personally collect you from Manchester Airport and drive you to Lilleshall. Following the course, I will return you to the airport to catch your flight home (subject to timings). NOTE: This is subject to numbers of players and availability and should not be considered a guarantee with a booking. We will discuss by phone and if I cannot collect you then I will suggest alternative transport arrangements from Birmingham Airport which of course will be at your cost. Booking early for a course will always give you the best chance of securing collection from the airport by me. 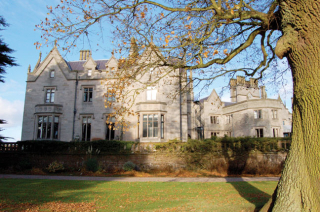 For those who prefer to arrive on the Friday night, Bed & Breakfast accommodation is available for an additional £62.50 per person and must be pre-booked either via us, or direct with Lilleshall. If you wish to have dinner on Friday as well, please note that it is only served between 6.30pm & 8pm. You will also need to pre-book it direct with Lilleshall, then settle it direct on the night currently at a cost of approx. £15 per person. Simply click the ‘Apply’ button. I will then give you a call so you can tell me about your level of badminton and what you are looking to achieve from the course. Once accepted on to the course, you will receive an invoice and request for either a £100 deposit or full payment (depending how close to the next course you’ve applied). When your payment is received, this secures your place on the course. A further email is sent to you either requesting a final payment or to send your information pack. The pack contains lots of information about the weekend from directions to Lilleshall, meal times, checking in and lots more nice to know things. Please read it. The countdown has then begun to welcoming you to Lilleshall, either on Friday night when I tend to meet early attendees in the bar, or Saturday morning at breakfast or in the sports hall. It’s always good to get to know players prior to the course commencing, and usually the Friday night provides a great opportunity to answer player’s questions and relax them by going through some of the content. Still not sure if it’s the right badminton course for you? – just click on either heading to read the posts. I believe you will find these residential coaching weekends a refreshing change. It’s a course built with you in mind and will deliver what you want. If you haven’t read the testimonial page (click to read), then I urge you to do so. My team of coaches has tremendous enthusiasm, coaching knowledge and a love of badminton. They’re all experienced players and coaches, playing to a high standard and do a great job every time. In case you’re wondering, I am coaching throughout the entire weekend. I usually demonstrate each skill or technique we will be working and provide a full explanation to back up what you see. Each coach, including me will then take 4-6 players to work on the skill or technique on court. For some activities you may have one coach to watch your group only and occasionally the coach will be responsible for two groups. This means we typically have a coach/player ratio of 1:6 or better which, I believe is unique. 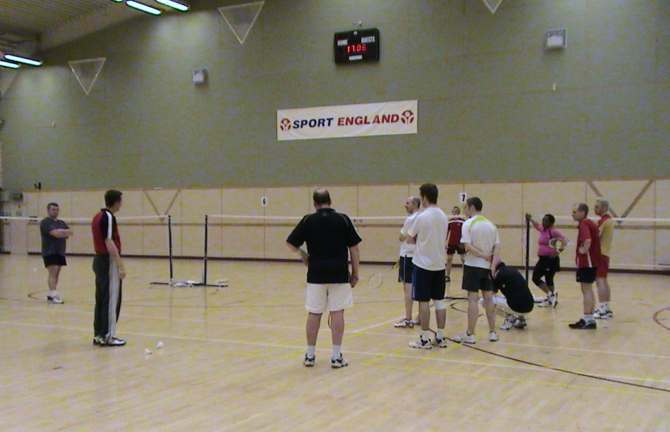 Generally badminton courses offer 1:8 ratio which is still good, however I like to ensure that you are receiving more personal attention to help you make the necessary adjustments to your game. I make sure I am personally coaching every player for some part of each day. You will also be asked to work with different players so there’s never a time when you’re stuck with the same training partner for long periods. This is important as it keeps you mentally fresh and allows you to get to know the other players quicker. The only exception to this if you come along with your playing partner. It makes sense to keep you both together throughout the weekend so you gain a stronger appreciation of each others strengths and weaknesses. As a pair, you will also play all games together to help you improve both individually and as pair. I would also do the same for team players or clubs who book as a unit. So, what are you waiting for? 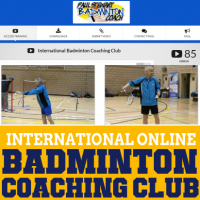 If you’re serious about making an impression and improving your badminton, then click the ‘Apply’ button below and begin your journey to becoming a significantly better badminton player. I look forward to welcoming you to Lilleshall and helping you achieve your badminton ambitions. If you would like details once further dates are released, please ‘Contact Paul’ using the dropdown menu for weekend courses, making sure you provide us with your email address. We have got a Gift Voucher scheme if you would like to make a contribution towards a course for a family member or friend. PLEASE NOTE: We usually reply to applications, in some way within 48 hours. If you haven’t heard from us after this time, please resubmit your application in case the original failed to reach us!